Who Needs IT Managed Services? In the past few decades, the digital revolution has been a tremendous boon for business revenues, making companies of all sizes and industries more efficient, productive, and profitable. Yet the fact that technology has become more advanced also means that it has become more complicated to properly understand and manage. The complexity of modern business technology means that organizations are facing more challenges than ever keeping it all up and running. Unless you’re already in the IT support business, spending time on issues such as patching and backups means time taken away from what’s really important: focusing on your organization’s core objectives and competencies. 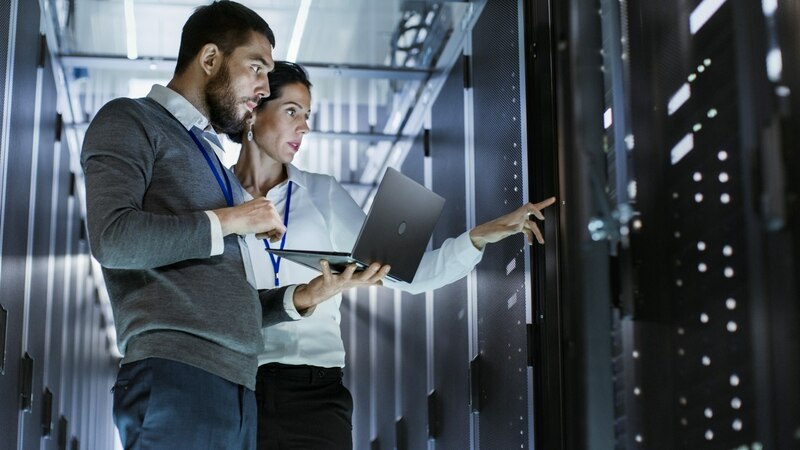 In this article, we’ll examine three of the top reasons why many companies are turning to managed service providers (MSPs) to help them deal with these IT challenges. It can be hard for IT departments to deal with all of users’ questions and issues, let alone manage them effectively via a support ticket system. Most small and medium-sized businesses, in fact, have no ticketing system at all. Of course, this means that the business has no clear record of the changes that have been made in the environment, or the problems that have cropped up. If a particular issue is chronic or recurring over a long period of time, then you won’t have an efficient way of looking back to find out which solutions have or haven’t worked in the past. Implementing and running your own support ticket system might seem like a relatively simple IT task. As your business expands and evolves, however, you’ll undoubtedly notice some growing pains with missing features such as escalating tickets and time tracking. Managed service providers can dramatically enhance your IT support efforts by introducing their own mature, feature-rich ticketing system into the mix. Depending on your desired level of involvement with support tickets, you can do everything from taking a completely hands-off approach to getting down into the nitty-gritty to understand the problems that people are having. Perhaps the biggest reason why companies work with an MSP is because they lack a robust internal IT department. Even though today’s software and tech gadgets seem to “just work,” there’s a lot of thought and effort that’s necessary to make them so straightforward for the end user. The same concept applies for your business IT as well. If your organization is larger than a few people, then your IT department can’t just be one person who runs back and forth putting out fires all day. The expectation that a couple of employees have enough technical knowledge to support an entire organization isn’t fair—and what if they quit or go on vacation? Today’s companies need a team of IT experts with overlapping skill sets in order to meet all the demands of a modern business. Budget fluctuations are one common complaint among IT staff, with unpredictable costs from year to year and even from month to month. What’s more, many companies spend too much of their IT budget on basic issues. Most chief information officers allocate roughly three-quarters of the IT budget for activities just to keep everything running, with only the remaining quarter for innovation. An even bigger IT problem than budget for many organizations, however, is time. The truth about your IT staff is this: the more time they spend on trivial activities that don’t generate revenue, the less time they’ll spend on truly meaningful and innovative projects. Tasks such as patching your systems and recovering from network downtime, while highly important for the internal organization, don’t actually bring any value to your clients or move your business forward. Failing to keep up-to-date on your business technology can have greater consequences for the organization as a whole. If you’re in the construction space, for example, then it’s highly impractical to mail in blueprints every time you bid on a new contract. Not only will you spend more time and money on shipping, you’ll also irritate the architects who are used to doing everything electronically. This puts you at a major competitive disadvantage. Due to time and budget shortages with their full-time IT staff, many companies are forced to simply tread water keeping everything running. No matter how smart and capable they are, your IT staff simply doesn’t have the time to both put out fires and focus on valuable innovations. If you recognized your own company in any of the three difficulties above, then it might be time to consider working with a knowledgeable and capable MSP. However, the question then becomes—which one? Many MSPs offer multiple tiers of service to help meet their clients’ needs and budgets. For example, some companies might only require service during regular business hours, while others just need a solution for data backups and recovery. For more information about finding the right MSP and solutions to align with your business goals and requirements, check out our free quiz Are IT Managed Services Right For Your Organization?